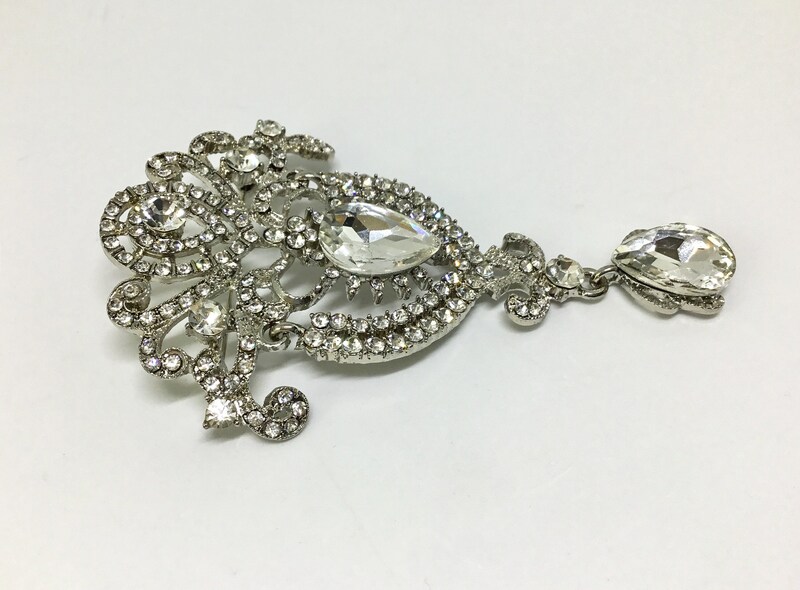 This is a vintage inspired new silvertone large brooch with an elegant design. It is made with sparkly clear faceted rhinestones with small and medium round ones and two very large faceted teardrops. It measures 3 3/4” x 2 1/2” and it comes with a pin on the back. 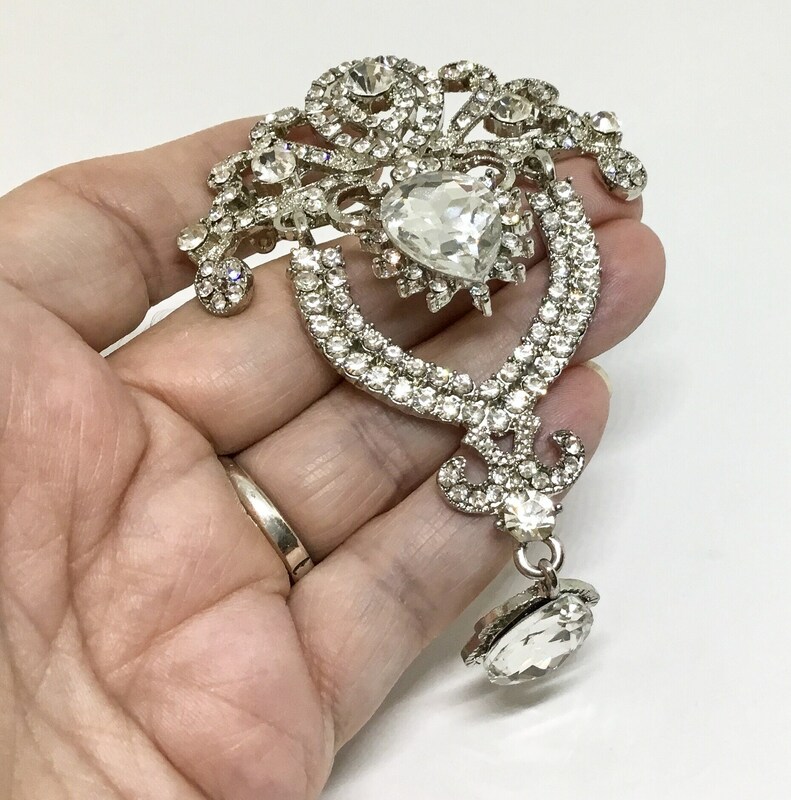 This brooch is articulated in the middle and also the bottom teardrop is a dangle....a great brooch for the top front of a wedding bouquet! 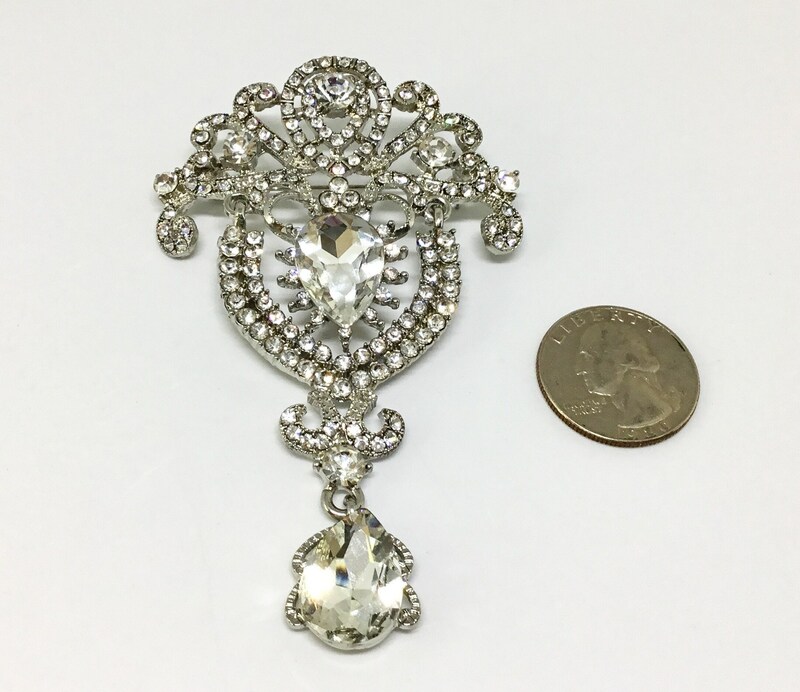 This sparkly design brooch can be used for a wedding bouquet, a brooch picture, accent on a wedding or birthday cake, a hair decoration, or for any DIY project. 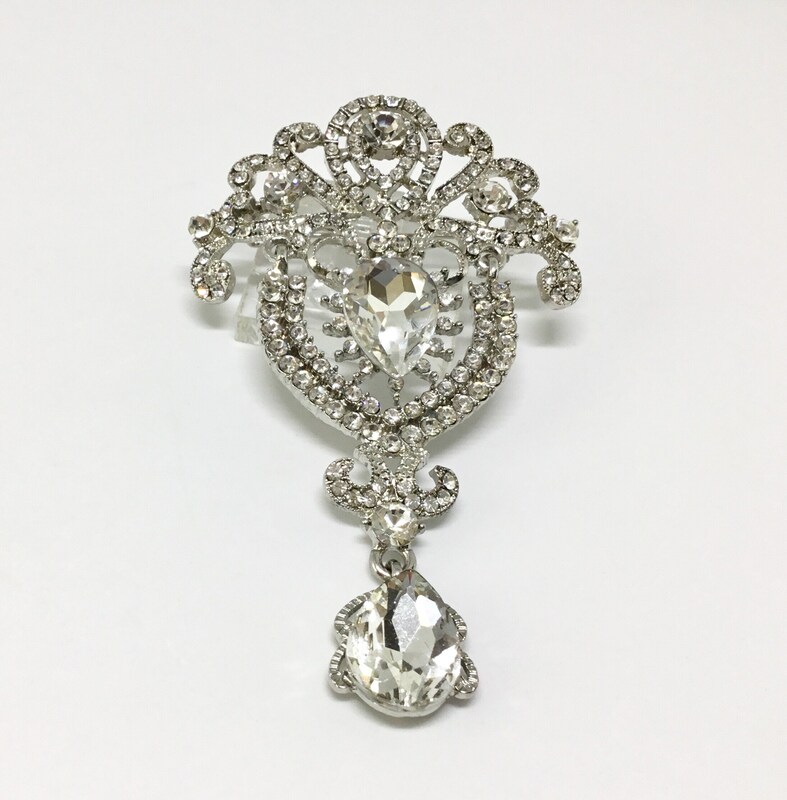 This elegant brooch will sparkle like crazy for any occasion!